Abzu is ranked in the 76th percentile of games scored on OpenCritic. Abzu is a lovely, pleasant game, one well worth experiencing for yourself. It unfolds in unexpected directions, a relaxing exploration in a beautiful and mysterious world. Unique and visually striking, Abzu doesn't quite make the most of its underwater setting but remains a highly compelling adventure. Abzû is a beautiful audio-visual treat that's light on challenge but big on wonder. Abzu is not a game for everyone. You need to take your time to enjoy the scenery and all the beautifully designed and colorful animals and vegetation. Abzu looks more like an interactive screensaver than a real game. If you're okay with mediocre gameplay mechanics and like to take a slow dive into the deep ocean, Abzu will be very calming and relaxing. Abzû is not as original as it could be, borrowing as heavily from its spiritual predecessors as it does, but I can whole-heartedly say that Abzû is one of the best games I've played in 2016. Abzû is a beautiful game. It's a game stuffed with fish and colour and movement and music. I love those things. Sometimes you feel like you're actually inside an episode of Blue Planet (I recorded the video above during one such moment). But I don't love wrestling for control of an experience which feels expansive one moment and restrictive or unpredictable the next. That brings me to what is, more than anything else, ABZÛ's crowning achievement. It really captures the majesty of ocean—the beauty of it, but also the power of it. In that sense, maybe "diving simulator" is accurate, because as stylized and fantastical as it is, it expertly captures what it is that makes diving such a rewarding activity: exploring the wonders of the sea. ABZÛ is exactly what it appears to be – it's a linear game that encourages players to dive into its deep waters and interact with nature. Abzu is an artistic triumph in every single way. In most of the different areas in the game, you can rest on a particular rock and meditate. And I found myself just sitting on these rocks and switching between the different views and the different species of fish and watching how they move and interact with each other. And I found this to be oddly relaxing, almost like I was watching a David Attenborough documentary. The only thing I can fault Abzu for is the length of the game, which if you take it slowly and get all the trophies is a 4-6 hour experience. But in my personal opinion, I would rather have a short amazing experience than a long drawn out mediocre one. If you haven’t played any of Matt Nava’s game before I highly recommend you pick up Abzu and then Journey. ABZÛ simply has to be seen to be believed, as it's a real achievement for the video game medium. Even with its short length, ABZU stands out as an amazing video game that is not so much a game in the traditional sense, but more of an experience that will affect us all in different ways. Like Journey before it, this game proves that the medium we all know and love is just as much of an art form as writing a book, painting a picture, or filming a movie. In fact, it may even provide an even more personal connection to someone than these other art forms, because it can be interacted with to formulate a unique experience for everyone that plays it. ABZU, to put it bluntly, is a bit special. A stunning example of game design, allowing you to dictate your own pace through an ocean that gets more complex in both design and feel as you descend, with some moments that, in my opinion, surpass some of Journey's standout points. A beautifully simple game in terms of mechanics, ABZU's strength lies in its world and the emotional resonance it has with its player. If you suffer from anxiety or depression, this game should be made available on the NHS. It is, quite simply, wonderful. If you aren't entranced by mechanically shallow games like Journey, don't bother. But if you find exploration titles even marginally interesting, Abzu is an absolute must-play – it's the most majestic one yet. It's an overwhelming experience with a captivating story submerged in beautiful visuals and music. It has some magical sequences and is an all-around unforgettable game. It holds moments of relaxation but also action and tension. It explores ones of the few places left on earth we still have yet to fully understand and embraces that mystery and wonder. ABZU is a reflection of what makes video games so amazing because they create places and feelings that we will never be able to experience, like the feeling of being one with the ocean. Abzu is just a perfect game that's only held back by being a few hours long, but that shouldn't at all stop you from enjoying such a lovely world. It's very rare that a game releases and can bring out these types of emotions and feelings within a player. Abzu is worth every second that it lasts, which for me took just under three hours. That includes exploring more than just the path from one area to the next. It's a game that is worthy of being explored and experienced, and it will leave you in awe and wonder as you slowly figure out the story, what is happening, and why it's happening. The ending caught me completely by surprise, which in fact was a great thing. Giant Squid Studios created something extraordinary with Abzu, and it will certainly stick with me for quite some time. For those looking for a narrative journey that's unlike anything else on the Playstation 4, Abzû offers plenty to experience. Beautiful and full of surprises. The colourful and jaw-dropping vistas and experiences in ABZU will stick with you for a long time. Just like Journey did. Like the hauntingly beautiful ocean that ABZU has players explore, the real thrill and joy of playing ABZU comes down to going deep beneath the surface to experience its sights and sounds it offers, and the personal and emotional connections that are bound to be found. ABZU may be short on deep, complex gameplay or a lengthy narrative, but is more than capable of providing one of the most stirring, surreal gameplay experiences that (I hope) players will experience this year. As long as you're willing, ABZU is absolutely an experience worth being swept up in and letting you take it wherever it goes. Abzu is something that was never even on my radar. Then I booted it up, and never let go. Every area was an experience, and it made an impact on me. I don't spend my time trying to figure out what it means, I just enjoyed the ride, and it is easy to recommend. Especially to those that enjoy the idea of swimming in the depths of the ocean, and exploring the alien life found below the waves. On the surface, ABZÛ is a simple game, but there's an incredible amount of polish, detail, and artistic integrity at hand. The game is beautiful without sacrificing any of its main components, which makes the whole experience better as a whole. There are a couple technical stumbles, but the overall product is nevertheless exceeding. 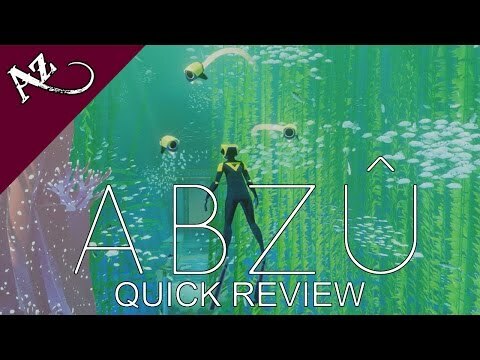 Despite its relatively short length (again, about three hours from beginning to end), Abzu does provide the option to go back in again and see what you missed, or simply goof off with the sea life. It's definitely a game that's well worth returning to, especially just to partake in the visuals and calm your nerves a little bit. ABZÛ is a serene experience that has no equal on the Nintendo Switch. It’s one of the most captivating and moving experiences one can have with a video game. It is art and something that will be memorable for years to come. If you are willing to surrender yourself to a video game and embrace all it has to offer, then ABZÛ is the game for you. One of the most amazing moments is coming around a bend or emerging through a tunnel into a large open area with buildings and more sea life as far as the eye can see. The music swells to an apex, climbing from a happy urgency to a grand revelation. The developers at Giant Squid have made an impressive debut with ABZÛ. While very brief, almost overly so, the journey was still one to remember, especially when it features one of the most visually striking and cathartic endings in recent memory. ABZÛ is a spellbinding and visually stunning experience. I can't recommend this title enough, and it's definitely one you'll want to check out. With exemplary visuals and audio, Abzû takes the player on a memorable journey to the depths of the ocean. It’s not a hard, complicated, or long game, but it’s aesthetically impressive, delightful to control, and emotionally rewarding. Abzû is the type of wondrous palate cleanser that reminds us of the beauty of video games. Abzu is a must-play game. With its ambient music and the gorgious world, exploring the ocean will be one of the most memorable experiences of 2016. With its minimalistic approach, Abzû appeals to the senses, lets your imagination wander. It may not be completely innovative, but it surely earns its own place alongside Journey, Flower, and other titles of the same genre. A riot of color, emotion, and sea life wrapped up in a stellar soundtrack and stunning visuals; Abzû walks a fine line between being a game and being a near-spiritual experience. Rather than ask players to challenge themselves, ABZÛ gives you the freedom to explore the mysteries of the deep at your own pace, providing an ebb and flow that offers a masterful experience. Abzu is deeply, transcendentally beautiful--not just visually splendid, but emotionally evocative. Without question, it is this year's Journey. Grab this one for its artistic beauty and a unique, captivating diving experience. ABZÛ is a triumph of exploration and atmosphere. Its gorgeous underwater playgrounds are a joy to explore thanks to its perfectly tuned controls, awe-inspiring visuals, and beautiful sound design. A somewhat predictable story does little to hamper what is otherwise an utterly unique and rapturous experience. ABZÛ is a rich audiovisual experience. Its universe was made to be appreciated, and every single gameplay hour serves to fill an internal void in the player themself. At every moment, the game reinforces that its art direction is its strongest aspect, provoking strong emotions. On the other hand, its narrative leaves some blank spaces, and the variety in its mechanics is virtually null. ABZÛ is nothing short of a work of art. Diving through its gorgeous cel-shaded ocean with the title's sweeping orchestra in the background enraptured me from the first moment of the game. This is an experience that shouldn't be missed. I would love to talk through the game in more specific detail but that would ruin an incredible story with real depth. Abzu is a brilliant experience and available;e on the Nintendo eShop. Take the plunge and check it out on Nintendo Switch now. Abzû is certainly a standout release on the eShop, offering up an experience that breaks from the norm of goal-based gaming in favour of something that's more focused on simply existing in a world and enjoying all its little intricacies. Those of you who appreciate casual adventures like taking a walk in a forest will be sure to enjoy what Abzû has to offer, as the dreamlike visuals, entrancing orchestral score and deliberately sedate pace do a fantastic job of drawing the player into this alien world. We'd give Abzû a high recommendation to anybody looking for something a little more gentle for their Switch; it's not a game about winning, but about the journey (no pun intended) you take getting there. It's your last impression of the game and it sticks with you, reflecting back on what you've seen. It's the case, though, that the vast majority of Abzû is so beautiful, so well put together, that the fact the ending is a little disappointing doesn't diminish my view of it as whole. When I think back on the game it's not the final image I remember but the turquoise shallows, the pattern of the sun falling on the sand, the great vaulted ceilings of blue water. The biggest flaws I would give it are the tilt controls for swimming as well as looking around, but for the most part it's easy to sort out (unless you get stressed out and spaz the controls, but that might just be a thing I do). It's an instinctual, go at your own pace story, with lots of time available to stop and smell some ocean roses, if you so wish. I'll definitely be going back to find all those mediation spots I missed, and probably relive some of those beautiful story moments. A pinnacle of aesthetic design and the best use of the Unreal Engine to date, ABZÛ is an unmissable underwater romp. The porting of a title as peculiar as Abzû has gone incredibly well, considering the difficulty of having to find the perfect balance between a lower resolution and the details of a graphic style so poetically minimalist. Giant Squid's little masterpiece is a must have for those who are inclined to yield to the irresistible call of the sea, even on Nintendo Switch. Gorgeous and invigorating, Abzû flounders a bit with a hamfisted story, but there's still nothing quite like it on the PC. A mesmerizing audiovisual triumph that will feel heavenly to your eyes and to your ears, unfortunately without warming your heart as much as you would expect. It probably won't leave you teary-eyed like Journey did, but it will still be a trip absolutely worth embarking for. ABZÛ is a wonderful experience that follows the path of games such as Flower or Journey, where we play to feel. This is an almost perfect masterpiece which should be played by everyone. Like Journey, Abzû is in some sense a game about archetypes and archetypicality, letting you dwell within and among them as though to remind you of their firm embeddedness at the foundation of other things. And yet, in a significant structural twist, it's about recovering archetypes that no longer seem to have potency, rather than playing through an archetypal sequence—the Journey—that's still going strong. Abzû is one of the greatest looking games in existence, with a simple message at its heart. You'll revel in the wonders of its beautifully designed ocean. The "it's not a game" crowd will invariably struggle to see the appeal with Abzû's monumentally relaxed pacing, but they will arguably be the ones missing out here. An absolutely resplendent experience that is thoroughly and generously stuffed with memorable moments, Abzû's beguiling audiovisual presentation lends it an atmosphere and sense of place that very few, if any, games can match. This is the very apex of videogame escapism. ABZÛ is perfect for fans of Journey and other thatgamecompany titles, thanks to the sweet simplicity of its gameplay and visuals as well as marvelous musical score. 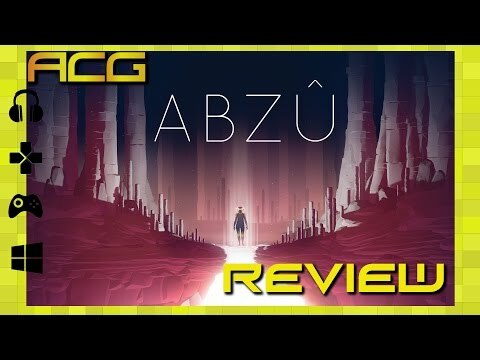 Abzu takes the graceful feel of movement and subtle push toward discovery that I've enjoyed in similar exploration games like Journey and Flower and builds a refreshing-yet-simple underwater adventure around it. The colorful settings, beautiful soundtrack, and basic controls made it a great experience that constantly piqued my interest, even if it never challenged me to master it other than deciphering its cryptic environmental clues. Instead, Abzu relishes in giving you freedom to simply enjoy exploring the fascinating deep blue sea. During the 3 hours of my playthrough, ABZÛ impressed me for pretty much all of the time. The game is as intuitive and fun to control as it is alive and beautiful to explore, qualities that end up making up for the small gaps in storytelling and lack of more in-depth puzzles. It's an experience that deserves to be played with full focus, all at once, with the headset on the head and with very little to no information about its set pieces. Unfortunately, it will be inevitable to suffer from comparison to thatgamecompany games, but Matt Nava shows that he learned very well from the time he spent with them. Abzu is a testament to where we are with video game development and shows how diverse the medium can and should be, even if it's not quite as emotionally resonant as it perhaps could have been. Between the rich visuals, orchestral soundtrack and chill playing experience, you'll find something to like. Dass Abzû – Achtung Wortwitz – an mangelndem Tiefgang leidet, möchte ich so nicht unterschreiben. Wer sich für Spiele á la Journey oder The Unfinished Swan nicht erwärmen kann oder will, sollte auch um dieses Kleinod einen großen Bogen machen. Alle anderen geben dem rund vierstündigen Tauchgang allerdings eine Chance. Um welche Art von Welt es sich am Ende handelt, bleibt ohne Frage sehr diffus. Doch gerade dies macht für mich den Reiz aus. Wenn an einem der Meditations-Punkte ein Buckelwal majestätisch an mir vorbeizieht und sich über mir der rotierende Wirbel eines riesigen Fischschwarms dreht, dann glaube ich zumindest an die erzählerische Kraft des Videospiels, in der die Schwerelosigkeit des Tauchens zu einer Kunstform erhoben wird. Für mich ist Abzû eine Art Endless Ocean mit philosophischem Überbau. Zudem blitzt in manchen Momenten der Genius von James Camerons Abyss auf, wobei ich mir gewünscht hätte, dass die Macher den Story-Fundus dieses Science-Fiction-Klassikers großzügiger für die Reise der namenlosen Taucherin geplündert hätten. Doch auch so bleibt Abzû unter dem Strich eine atmosphärische und auch lohnende Reise. Eines ist mir auch klar geworden: Für den Markt der VR-Brillen sind Inhalte wie diese geradezu gemacht. Wer jemals die Technik-Demo "theBlu" für die HTC Vive ausprobiert hat, weiß wovon ich spreche. Abzû in einer VR-Version wäre geradezu perfektes Kopf- und Entspannungskino. 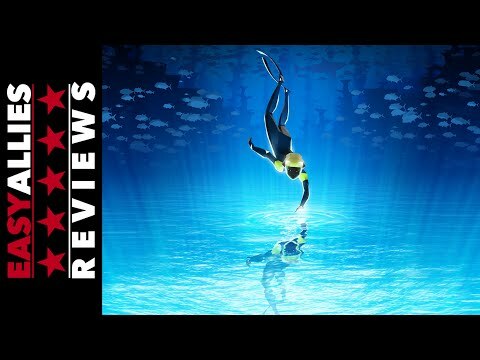 ABZÛ its a chilling and remarkable experience from beginning to end. If Abzu existed alone, it’d be in its own class. However it has a titan of non-verbal storytelling to contend with. And while in many ways it is excellent, it just can’t quite live up to what came before. However even falling short of perfection leads to greatness, and Abzu is in so many ways great. A game that is absolutely worth every penny, a unique experience, and a truly breathtaking title. If you were curious about this oddly named experience, dive down into its depths and you should find a real treasure. Absolutely gorgeous and a joy to behold, but sticks too close to Journey's formula for its own good. With a brilliant musical score, some truly breathtaking deep sea vistas, and a profound ecological message ABZU; is a journey you won't soon forget. If Giant Squid had removed every trace of its name from Abzû, you could easily have mistaken it for a thatgamecompany production. For a developer to nail that same sense of artistry and wonder with its debut is nothing short of amazing. Abzû might not offer an easy to digest story, but those missteps are made up with a dazzling experience, some marvellous set-pieces, beautiful visuals packed with vivid colours, and a lovely soundtrack. ABZÛ is one of the most relaxing games I've ever played. But is it the right game for you? Abzu is quite simply a breath-taking piece of interactive art, that feels vivid and more alive than you’d imagine a video game was capable of being. 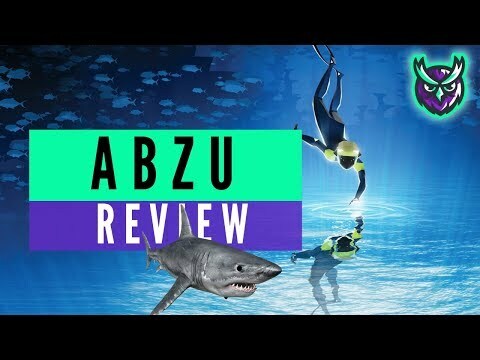 Abzu is an interactive exposure of wonderful underwater nature, concentrated but memorable. However, the game is still missing an important message, a sort of subtext that can impress the player. It remains an important debut for a young team that will be able to achieve great things, with a little more experience. Abzu does change the formula in important ways, but these fun and exciting additions are not enough to move it out of Journey's shadow. Considering just how much of the emotional journey is taken from the first game, Abzu is not groundbreaking, but it is a masterpiece that deserves to be remembered. In many ways Abzu looks and feels like a successor to Journey, but while there's mystery and beauty in its underwater world, it's rarely quite as engaging. The simple, predictable gameplay is one barrier, the abstract nature of the story another, creating an experience that's big on audio-visual power and artistry but short on the stuff that made Journey truly magical. However, it's worth playing for its epic high points, its unique atmosphere and the chill-out meditation, but don't expect to find perfection or a game of vast scale and depth. ABZU is a mixture of art, myth and indie game and has the ability to take the gamer on a journey under the water. You find different kind of species and it is a relaxing experience. If you want to have a relaxing journey under water for a few hours, ABZU is for you. What more needs to be said? ABZÛ is a beautiful experience. It's still technically a game, but one that can be appreciated by anyone who loves bright colors, art, fish, meditation, and more. If it weren't for the PlayStation 4's fans kicking up due to all the high-poly rendering, it could even make for a nice virtual aquarium. For $19.99, there are definitely other games with more regular gaming content. However, ABZÛ is one experience that many people should not pass up on. Even as the credits rolled for Abzu I still couldn’t hope to tell you what it all means. It’s an experience that’s full of wonder, some breathtaking moments, and managed to make me feel a bit more connected with nature. What you may come away with may differ but I’d be a bit shocked if anyone could play it without it hitting them somewhere emotionally. The beauty of it all, the wonderfully fitting musical score, and small moments of the unexpected make Abzu a pretty special experience even if I may question whether it’s necessarily a game. In the end I don’t know that I much care, it’s something that will still stick with me for some time. Now ported on the Switch, Abz' is still a superb contemplative and meditative game that any fan of Journey should play. Abzu is one of those games that attracts you from the beginning, and it has an excellent atmosphere added by a soundtrack very well implemented. In general, it has a good performance, however, its simplicity is reflected in the short duration it has. For anyone who has ever had an interest in marine life then ABZÛ is a required play. It's a stunning interactive aquarium with plenty of flair. The absence of restrictions allows for players to immerse themselves entirely in all of the undersea happenings. Every scene is an event to be cherished, and even the most minimal of interactions are memorable. There are a few moments that are so powerful that text or even a video could never hope to do them justice. If the concept sounds appealing, then don't hesitate to pick this game up immediately. Abzu is a game that is better experienced than explained. Featuring gorgeous visuals and a story that leaves the door open enough for your own personal interpretations. The only real drawback to the game is that it may be a bit too short for those overly concerned about cost per hour. I recommend Abzu to people who have enjoyed the kind of work thatgamecompany has put out because it looks like Giant Squid is here to do the same thing. 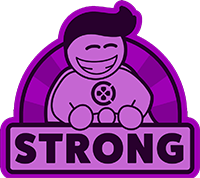 Some might argue that $20 for 2 hours seems like a hefty price tag, but it's all about how much you can appreciate the little things that go into game design. Abzu is a very good game, but it lacks that same amount of punch that Journey so effortlessly delivered back in 2012. Abzu is one of those games that comes along and manages to capture you into its world, allowing you to shut out all of the stress and worries of your own life. It successfully allows you to live in its dream-like environment for a few hours and delivers tranquility you may not have even known you needed. ABZÛ is more of an experience than it is a video game, but it is something that should not be missed. If you have enjoyed games like Journey and Flower, you will also enjoy your time with ABZÛ. ABZU is a beautiful game. The graphics are amazing and the music is fantastic. This game deserves to be played by everyone. Abzu is one of those pleasantly surprising titles that feels likes it's on the cusp of being a great game with just a bit more fleshing out. Its deep, undersea world is absolutely gorgeous and its metaphysical take on "show-don't-tell" storytelling evokes thoughts of the excellent game INSIDE. Folks who prefer traditional gaming mechanics and storytelling might consider the overall gameplay to be barebones and lacking purpose. If you're a fan of non-traditional gaming that has a bit of an indie feel to it, however, you'll want to dive into Abzu. ABZÛ is a lesser game than Journey, but since I consider Journey to be one of the more sublime pieces of interactive entertainment I've enjoyed, that's hardly a damning indictment. While it struggles to be truly resonant, Giant Squid's aquatic adventure is nonetheless enjoyable, alluring, and ultimately pleasant. Abzu is also on Switch a little gem, not too original, but solid with a great OST. There are some technical problems with this portable version and the game is not very lasting. Abzu is a beautiful experience, and the visuals are some of the best I have seen all year. The soundtrack for the game is something that needs to be heard and seen in context to truly be appreciated, but it is good enough to give it a listen separately. The game is relaxing and peaceful to play. If there are others in the room, they will be entranced. Unfortunately, the game is extremely short and does not offer much variety. If this type of game appeals to you, buy it immediately. If not, you may want to wait for a sale. Either way, I look forward to visiting the world again soon. As spectacular as Abzu's ocean is, from the hundreds of species of marine life to the impressive seascapes, it ultimately feels a bit shallow. Despite a short length and underwhelming gameplay, Abzu makes for a compelling adventure thanks to its striking visuals and a great soundtrack. Stunning art and music design, but shallow when it comes to depth of meaning and gameplay. A wordless, calm game that manages to transmit so much narratively using only wonderfuly serene music and pretty visuals. The somewhat undirected gameplay loop suffers a little from underused mechanics and can become a little repetitive, however, due to its 2-hour-long duration the music, visuals and fun tranquil exploring is substantial enough to provide a short but very enjoyable experience. The world is what makes Abzu special not anything about how it plays or the game's ambitions. That was the case in 2016 and it's certainly the case now. Yet even if Abzu doesn't offer a brand-new experience it still accomplishes its goals very well. ABZÛ is a visually stunning arthouse game with a fantastic score and some awe-inspiring, powerful moments, but it's one that can't match the achievements of its nearest relative, Journey. The gameplay's never as compelling as the visuals, and while its undersea kingdom is a fascinating place to visit, the story doesn't quite have the same heart. Stick it on a big screen, put on some headphones and you'll be blown away, but will you keep coming back? I'm not so sure. I did enjoy being in the water, but I can't help but feel the beautiful visuals and music were jamming pictures of places and emotions in my face instead of earnestly telling a compelling story. There's an unshakeable air of falsity about Abzû. As a treat to the senses, however, it's hard to beat. Scouring Abzu's marine paradise opens an argument for emotive communication and softened storytelling. Too often, however, Abzu is less a defense of its beliefs and more a negotiation out of a cornered medium. For those looking for the next Journey, ABZÛ may disappoint. It’s a very enjoyable game but is leagues below its predecessor. Pun intended. For all the niggling gripes listed above, there also appears to be something missing. It’s a game with a very strong message, beautiful vistas and a lot of heart, but the main character felt a bit lifeless. There were times when it got truly tense, but after realising the mechanic in those sections, any connection I had with the character disappeared. ABZU is at home on Nintendo's Switch. The simplistic, but vibrant visuals shine on the Switch's screen, and the system doesn't falter in its presentation or performance. There's perhaps a little more aliasing than you'd find on its bigger console and computer counterparts, but the three-hour long adventure has been faithfully ported. I don't even know if I'd necessarily recommend ABZÛ even if I did enjoy it. Abzû is a nice looking game that will also be remembered as a missed opportunity to surpass or at least achieve a comparative level of greatness that is its inspiration, Journey. Abzû owes too much of a debt to what has come before it, and annoyances with camera and graphical issues remove much of the satisfaction from what was meant to be, on paper at least, a relaxing voyage into a mysterious sunken world. Giant Squid Studios clearly wants Abzu to be as evocative of an experience as Journey, and while I enjoyed how calming it was, I ultimately found myself unsatisfied after my three-hour playthrough. The game's world and setting is incredibly beautiful and atmospheric, but there just isn't enough meat to the game to really sate your hunger. Does beauty alone justify a game? Can the novelty of swimming through majestic oceans teeming with life overcome an otherwise fairly by-the-numbers experience that never quite achieves the creative heights it so earnestly aspires to? I suppose that's down to the player, but as much as I wanted to love Abzû, the end result fell just short of brilliance. It's worth playing for the incredible presentation, but don't expect something profoundly new here. A short journey in the depths of the ocean. A slow paced and relaxing journey, with a bit of action, accompanied by a calm soundtrack. The artistic scenery and soundtrack are best things in the game, the rest is either average or below average. This visually stunning game is a great concept that never really gets to the point the developers may have intended. With an overly abstract story, uncomfortable controls, and not much to do but look at things, there isn't much left for players beyond the casual type. A disappointingly direct copy of Journey that offers an incredible audio and visual treat, but lacks the deeper meaning of the original. Despite the frustrating controls and minimal gameplay, Abzu remains a gorgeous and sometimes wondrous swimming simulator. The story may never emotionally resonate in the way it intends, but the world feels so alive that you will look forward to exploring it regardless. It may not be for everyone, but just let its beautiful music and striking visuals sweep over you. If you do, you'll find a game that is willing to experiment and take risks in order to achieve moments of wonder that few games ever achieve. Abzu offers a lush, gorgeous world to explore. ABZÛ fits into the type of games that want to offer an unorthodox experience. It's possible to do wonders within that realm but unfortunately, ABZÛ falls behind expectations. Not that its audiovisual environment does not try, if the game's visual world looks stunning, ABZÛ's soundtrack is simply out of this world, but the almost entire lack of a compelling and motivating gameplay experience seriously impairs ABZÛ's ability to deliver something memorable. Abzu is well beautiful and well put-together, but cannot escape its self-inflicted sense of déjà vu. Matt Nava and Giant Squid Studios have played it safe. Too safe. There is an obvious artistry to Abzu however, that we can only hope is put to better use in whatever comes next.